Charmed Aroma brings the element of surprise to life with the excitement of finding jewelry inside every candle and bath bomb! Hidden inside each product is a 925 sterling silver ring, necklace, bracelet or earrings waiting to be found, along with an appraisal code. By entering the code online, customers can appraise the value of their jewelry. 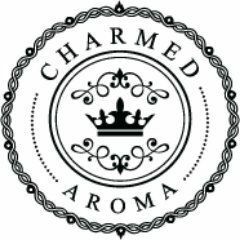 As Canada’s largest jewelry candle and bath bomb company, Charmed Aroma specializes in creating a unique experience with high quality products.